2. 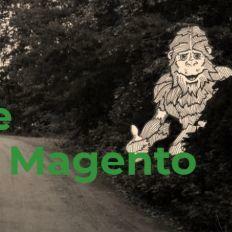 Is Magento the Optimum Choice for Online Merchants? Does Magento Have Any Disadvantages? Online retailing has lots of technology-related aspects that force you to make informed decisions, facets that don’t easily pop up when comparing two eCommerce platforms. This explains why the competition grows stronger and stronger in the eCommerce software market. It also highlights the importance of learning more about the options you have available, to decrease the risk of dealing with unexpected technical issues after launching your online store. Every merchant needs to understand how eCommerce platforms work, identify their business needs and be able to satisfy them properly by choosing the right the eCommerce solution for enterprises or small businesses, from case to case. Before deciding what internet retailer platform you should use to be able to reach a wider audience and launch your business online, you need to gain insights into the technology eCommerce software use and grasp the fundamental features of online retailing. Web-based Shopping Carts: The most common eCommerce solution use a web browser model with a predefined interface and data model, which limits the site customization level, as well as the infrastructure used, so you will not be able to choose the hosting provider or other services associated with the application. This translated into fewer worries for launching your store online, but also into limited freedom to customize your shop as you desire. Licensed Shopping Carts: Some eCommerce platforms are built as an open-source code that provides merchants the basis of the application, while leaving the opportunity to customize the interface as well as the infrastructure, to meet their needs and fulfill their customer’s expectations. Some CMSs will be easier to install, while others will require configuration settings to be made by experienced developers. Some eCommerce platforms will be easier to manage, while others will require advanced search engine optimization techniques, but generally, the benefits you’ll get in exchange will worth the effort. Selecting the platform you will use to support your website is, therefore, one of the most important decisions that you can make to expand your business in the online market. You can always use extensions, plugins, and add-ons, to add new functionalities to your website and improve its features, but the platform you choose to launch your business online will have the biggest impact on your online presence and your sales performance. Your main interest at the very beginning should be to have as much control over the content and features of your site as you can possibly get from an eCommerce platform, so that’s why many successful businesses choose open-source solutions like Magento. This option will most certainly require more developer intervention, but the investment is valuable and it will surely help you boost your ROI. Wanna find out which platform satisfies your business’ demands? Ask our experts! Call us today! According to BuiltWith.com, now there are 17,749 live sites that are using Magento 2, the newest software edition series of Magento. More than this, a total number of 251,739 live online shops are developed on Magento 1x and 2x, and other 289,407 have used Magento in the past since its first launch. So what makes this platform the number one choice among online merchants? Magento eCommerce platform is designed with the essential features that allow merchants to build customized online shops for their business and for this reason Magento is the #1 eCommerce platform for huge brands like Coca-Cola, Nike, Samsung, Ford, Lenovo, Nestle Nespresso, Bulgari, just to name a few. 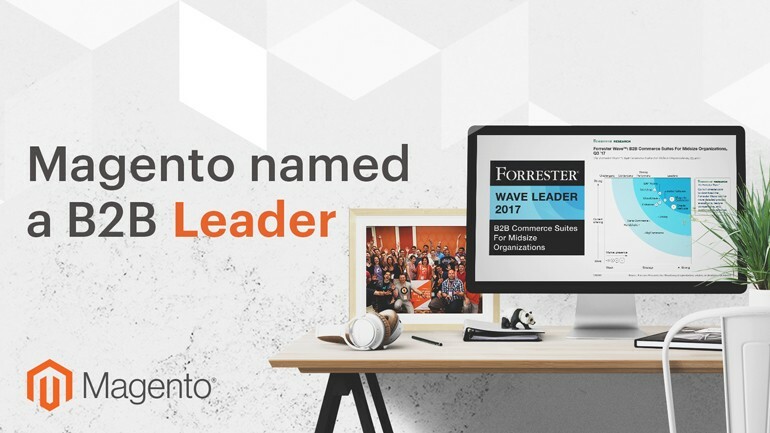 Check out what other big companies use Magento Enterprise and what makes Magento a worldwide leader when it comes to the preferred eCommerce solution for big retailers. There a number of reasons why merchants favor Magento over other eCommerce software, and we’ll talk about these differences in what follows. First, you should know that it’s complex and flexible features allow full control over the appearance, content, and all capabilities of an online shop, and lets you adjust your website to your particular business needs, offering an exclusive shopping experience for your clients. Building an eCommerce website usually start with developing the core features, such as the content and catalog management system architecture, promotion tools, reporting tools, checkout procedure and payment options, and the rest. But Magento offers these features open-source, ready for customization, together with the opportunity to personalize your websites for the type of goods you sell, or the services you provide, to make it easier for you to reach your customers. Due to its extensible capabilities, you can install additional features by choosing from thousands of extensions and lots of themes you can find on Magento Marketplace, that can help you improve your online store’s functionality and appearance, and make it more appealing for your target audience. These are just a bunch of the features this highly scalable eCommerce platform makes available for its entire community of merchants. 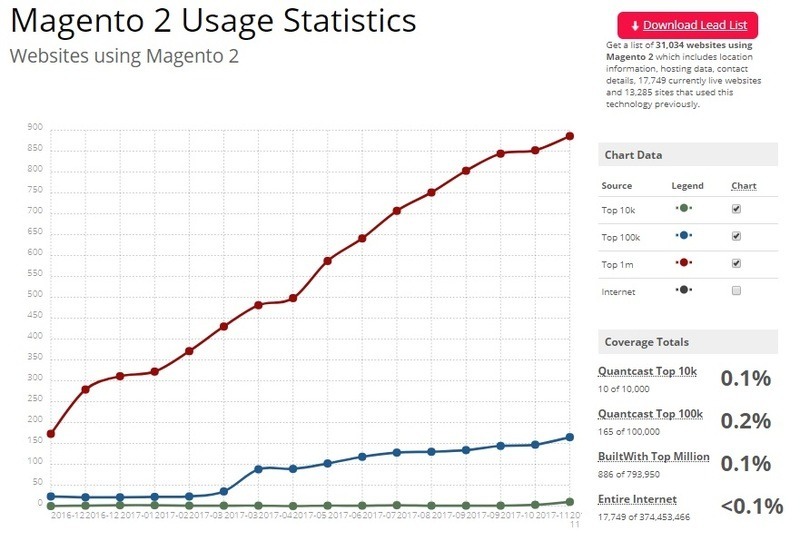 Starting with November 2015, when Magento 2.0 was released, its features continue to expand in order to provide new ways of helping you achieve a higher conversion rate, such as improved page caching, a new and easy way to customize your file structure, improved website performance, and much more. Choosing the eCommerce platform that works well for your business it’s not a question of choosing between the bad and the good available options. Rather it’s a matter of mapping your financial budget, your business demands and your future marketing plans with an eCommerce platform that is accessible to install and manage, one that offers the desired customizable level for your website and supports the number of products that you plan to sell. In this respect, Magento doesn’t have any disadvantages whatsoever. You can choose Magento Open Source if you run a small to medium-sized businesses, or Magento OnPremise may be a better fit for you if your business is medium-to-large. Because both of them are open-source, their installation and setup may require some technical skills or even hiring a Magento developer, depending on the level of customization you want to apply to your website. But in exchange, Magento offers a solid platform and a broad marketplace where you can find all the extensions you need to expand your site’s range of capabilities and overall performance. Are you looking for a Magento certified developer? With the growing number of eCommerce solutions on the market choosing the no.1 platform that can fully satisfy your business demands becomes harder and harder. Each online business has strong reasons for using one solution over the others, but how do you know which one is the best for you? No eCommerce solution will serve all purposes: they all have their strengths and downsides, and often enough what works well for your business competitors may not fully serve your own business interests. To determine what may be the right option for you we’ve prepared an overview of the most popular eCommerce platforms at the moment, compared with the world’s eCommerce leading solution, Magento. Go through them all to get a quick idea of their capabilities, if you want to have a wide perspective on your available options, or go directly to the comparison that serves your interest. In what follows you’ll find out more about all these, to help you make the wise choice for your online store. In a previous post, we’ve talked about how to migrate from WooCommerce to Magento and we’ve listed the benefits of moving your shop from WooCommerce to Magento, the migration overview and the tools you can use to successfully make this transition. Now, we’re gonna look into their key features that make them the best choice for fresh merchants. Both Magento Open Source and WordPress are open-source eCommerce platforms, and no matter what you choose, you’ll benefit in both cases from technical support from large communities. This is an important aspect for small merchants, as their initial investment in launching their brand online is low and the support they have from specialized developers is very resourceful, which makes the perfect start for any online business. Magento is well known for its eCommerce specialized features that can help your business thrive, such as out-of-the-box functionality, powerful features to handle big catalogs, advanced payment features, SEO and promotion capabilities, just to name a few. A full list of Magento can be viewed here. All these aspects make Magento a more complex and at the same time robust choice over WooCommerce, but in the end the right choice should be made after taking into consideration the type of business you have, how big your catalog is, what features will serve your shop better, plus the resources you have available to develop an online shop. To find out how much will it cost you to open a Magento-based eCommerce website, check out our dedicated blog entry on Magento pricing guide. Need an eCommerce developer help you build an online shop on WooCommerce or Magento? In an earlier article, we’ve presented a comparison between Shopify Plus vs Magento Enterprise, when it comes to developing an enterprise-level shop, in terms of popularity and ease of use, security and SEO features. We’ve also talked about the benefits of migrating your shop from Shopify to Magento and the tools you can use to make the switch. Both Magento and Shopify offer a wide range of features that merchants of all levels, from small to big retailers, can use to constantly improve their shops and attract more customers. Read here the full list of Magento’s features. Deciding what platform is the right option for your business should also take into consideration your needs, from a marketing and financial perspective, so in the end, it all boils down to what’s more suitable for your own company and which platform can efficiently help you achieve your business goals on the long term. In an earlier post, we’ve talked about the benefits of choosing Magento over BigCommerce and the tools you can use to migrate from Bigcommerce to Magento. 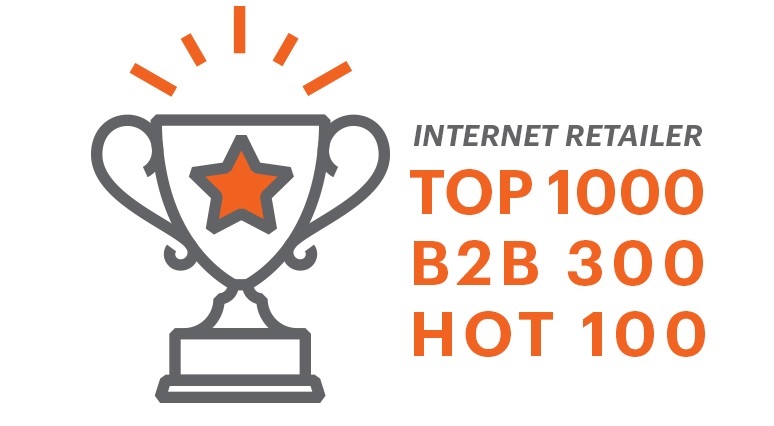 We also covered this topic in terms of deciding which of them is a better option for enterprise-level business, having in view their popularity, ease of use, SEO features, and security options. Need a Magento development team to help you build your online shop? Both frontend features and backend features are more powerful with Magento, and some say that Volusion’s backend is tricky. Now it all depends on your business needs, so if you have a big catalog or you plan to increase your stock level in the future and expand your shop, then Magento it’s a good decision for you on the long run. Although Magento may require some time to adapt your routine administration tasks to its features, in exchange you’ll benefit from powerful site management tools. When it comes to pricing, with Magento you have two options available: free or paid. The first one, Magento Open Source, and the paid one is Magento OnPremise (formerly known as Enterprise Edition), with a price based on your sales revenue. Squarespace includes Personal, Business, Basic eCommerce and Advanced eCommerce that start from $12 to $40 per month for annual subscription plans. Magento Commerce OnPremise, which was formerly known as Magento Enterprise Edition, has the same core files as Magento Open Source, but the platform was improved to add more features and functionalities that big retailers can use to manage their online store. Although it can be hard to choose one of them, the decision comes in easily if you take into account the investment, how big your company is and your company’s future prospects. In this case, Magento is a more accessible option that makes available the switch from the open-source to the paid version, while being able to customize your store to meet your needs. Instead, Oracle ATG Web Commerce is a better choice for big corporations that want to connect their physical activity with their online stores. This is why some online shops use them together as complementary eCommerce solution, and they choose Magento for its infrastructure and Salesforce for its front-end features. Magento’s top features include access to Magento Marketplace where you can browse thousands of apps and extensions that can improve your site’s functionality and look, a scalable site architecture, integrated mobile solutions to create mobile apps for your shop, flexible hosting solutions on Magento Cloud or other services you might prefer, an easy and quick checkout option, multilingual and multicurrency support, SEO optimization features. Read here the full list of Magento’s features. A common characteristic Magento and Spree have is the customization freedom that they offer, that can help you create the website you desire down to the little details, in terms of web store’s functionality features and appearance. Both Joomla and Magento are open-source eCommerce solutions that are used in a variety of web industries, such as shopping, entertainment, technology, health, news and social. Among Hybrid’s key features you’ll find Product Content Management and Catalog Management, Omni-Channel for B2B and B2C, multi-channel commerce, SEO optimization tools, Sales Performance Management, Order Management Subscription, Optimized Pricing, Customer Financial Management. Magento’s key features include Web Design, Shopping Cart, Customer service, Order Management, Mobile Commerce, Product Management, Search Engine Optimization, Marketing Tools, Analytics and Reporting Tools, Multiple Websites. A full list of Magento can be viewed here. Drupal was specially developed as a content management system, while Magento is designed as a fully-functional eCommerce platform, each of them being very strong in their own way. That is why when you have to decide among the two it’s best to look at their strengths and weaknesses to find out which can better serve your business demands. Both Magento and PrestaShop are open-source eCommerce platforms, which means that you can benefit from all the flexibility you need to customize and personalize your website and make it more appealing to your customers. Nevertheless, the two have many differences and choosing the one that works best for your shop implies first knowing your business needs and learning more about the features each of them offers. Additionally, Magento is a fully-operational eCommerce solution that can handle big catalogs and multiple product attributes, as well as high website traffic. Check out the full list of Magento’s features. Both OpenCart and Magento are open-source eCommerce systems, which translates to an easy installation process. However, after installation, you may need to hire a developer that can help you customize your website to better serve your business interests and future plans. Here are the main advantages and disadvantages of these two eCommerce platforms to help you choose the one that is more suitable for your type of business. The secret of making the right choice when you’re searching for an online retailing platform is to identify your website’s purpose, your business plans and map your demands with the features eCommerce solutions offer. Thus finding the appropriate eCommerce engines to launch your brand in the online market is not a matter of dividing the available software options between the good and the bad, but mostly to understand what each of them offer and be able to identify the one that is the most suitable for your available resources and your business demands. There are many popular eCommerce CMSs available on the market, some of which are free, others that are paid, some that are web-based, others that are open-source, but in the end the choice you’ll be making should first take into the account the features they offer to make your job easier and help you achieve a higher ROI. Regardless of the CMS you’ll end up using, asking for professional assistance from experienced eCommerce developers is inevitable, either for expanding your shop’s functions, changing its appearance or troubleshooting management issues. A good perspective you need to keep in mind is that the platform you opt for should meet your expectations in terms of: the freedom to customize your shop as you desire, the built-in features that can meet your management as well as promotion and SEO needs, the level of site-performance and security, and also the availability of attractive themes, all of which are necessary to create an ideal shopping environment for your target audience in the online market. Wanna find out which platform satisfies your business demands?